The ZOA joins thousands of Israelis, Americans and Jews throughout the world in mourning an extraordinary Jewish patriot, American-Israeli Jew Ari Fuld, father of four children, who was murdered in cold blood this weekend at the Gush Etzion shopping center’s parking lot, south of Jerusalem. Many members and friends of ZOA knew Ari, and have been sending us their memories about his love for Israel, his incredible bravery and his important work to stop the defamation of Israel. Ari Fuld’s murder, by a 16-year-old Palestinian-Arab Islamist terrorist, the despicable monster Khalil Jabarin, once again shows the horrific results of the Palestinian Authority (PA)’s anti-Semitic indoctrination and poisoning of its youth, and the PA’s paying Arabs to murder Jews. 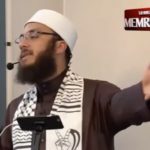 Despicable monster Jabirin was incited to murder Jews by Mahmoud Abbas’ latest falsehood, that Israel was allowing Jews to pray on the Temple Mount, which was widely broadcasted a few hours before this terrorist attack. (See “Mahmoud Abbas: Fresh American Blood on His Hands: Abbas’s Responsibility for Murder,” by Bassam Tawil, Gatestone Institute, Sept. 17, 2018). Abbas similarly incited the 2015-2018 “knife intifada” wave of terror, in which Palestinian-Arab terrorists stabbed, shot and rammed to death 67 innocent Israelis and Americans and wounded 1008 innocent Israelis and Americans, by repeatedly broadcasting Abbas’ false anti-Semitic accusation that Jews and Christians are “defiling” the the Al Aqsa mosque with their “filthy feet,” and praising Palestinian-Arabs for spilling blood – and continuing to pay terrorists to murder Jews and Americans. The PA’s (and Hamas’, and Palestinian Islamic Jihad (PIJ)’s) constant anti-Israel, anti-Semitic incitement in schools, on television, on social media, and state-controlled mosques – has turned too many in the young generation into Jew-hating Nazi-like terrorists. ZOA urges Israel to take the strongest possible action in response to this latest horrific murder of Jews. Among other steps, ZOA urges Israel to immediately build a new community in Judea/Samaria, to be named after Ari Fuld, and to name the streets therein against other victims of Palestinian-Arab murder. 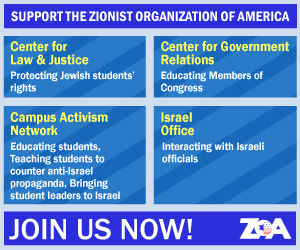 ZOA also urges all Americans to support the recent important, praiseworthy actions of the Trump administration’s Education Department, Office of Civil Rights (OCR), led by Kenneth Marcus, to properly define anti-Semitism to include the many instances when “anti-Zionism” and “anti-Israelism” is really a pretext or code word for Jew-hatred. The OCR must continue these important efforts to stop the virulent anti-Semitic “anti-Zionist” activities on our American college campuses, which could, G-D forbid, instigate the hateful violence that Palestinian-Arab youth are perpetrating against innocent Jews and Americans in Israel.